Sunderland striker Josh Maja is being chased by clubs in Germany according to reports. Sunderland striker Josh Maja is being chased by clubs in Germany, according to reports. The 20-year-old forward is currently weighing up a contract offer from the Black Cats, with his current deal set to expire at the end of the season. Maja, who missed Sunderland's 1-1 draw with Luton due to a stomach bug, has been linked with several clubs in recent months, including Manchester City, Bristol City, Crystal Palace and Middlesbrough and Tottenham. But according to Alan Nixon from the Sun, Maja could be set for a move to the Bundesliga, where his agent has strong connections. Maja is signed to the Elite Project Group agency, whose other clients include Borussia Dortmund's Jadon Sancho and Arsenal's Reiss Nelson, who is on loan at Hoffenheim from the Gunners. Nixon tweeted: "Maja being chased in Germany. Agent very strong over there after Sancho success. Free in summer and better wages than in England. By a mile." 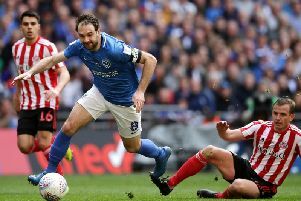 Even if Maja stays beyond the January transfer window, Sunderland are still hoping to sign another striker this month, according to owner Stewart Donald. And the transfer rumour mill went into overdrive on Saturday night when a picture of a tweet emerged, seemingly from Luton Town forward Elliot Lee. It read : "I'd like to say a massive thanks to all the fans who have shown me an outstanding support over the last two years. Very excited now for the challenge ahead to get my new club to back where they belong, a fantastic club with a fantastic vision. #SAFC"
If it was real, the tweet was quickly deleted, while many fans believed it was fake. Time will tell if Sunderland are really interested in Lee as the January transfer window reaches the halfway stage.